These 400cc MicroGP karts are seriously badass. 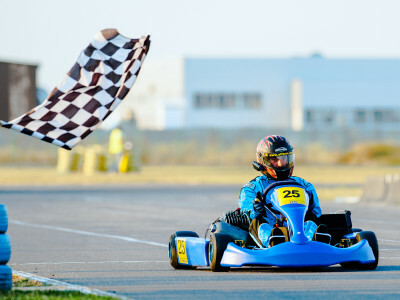 If you’re looking for an exciting activity that will inject some adrenaline into your stag do, you can’t go wrong with outdoor karting in Barcelona! You and the lads will test your mettle on a special track and fly through Barcelona’s stunning countryside at crazy speeds. You will be able to appreciate the fresh air and incredible scenery between laps too! This is the perfect way to find out who has the best driving skills once and for all… just be sure to think of a perfect forfeit for the loser. It is very important that you remember your passport, as it is needed for insurance purposes. Also, you need to be driving with a clear head not only to win, but to be safe. Groups can be declined if any member is deemed to be under the influence before a race. You get all of the equipment that you need included in the price, as well as insurance. If you require transfers to this event, let your party planner know and we can organise this for you. If you are hoping for some different race formats, get in touch and we can organise an alternative to time trials for you.